(Daniel, age 12+2 months) and his dad John (age 37). 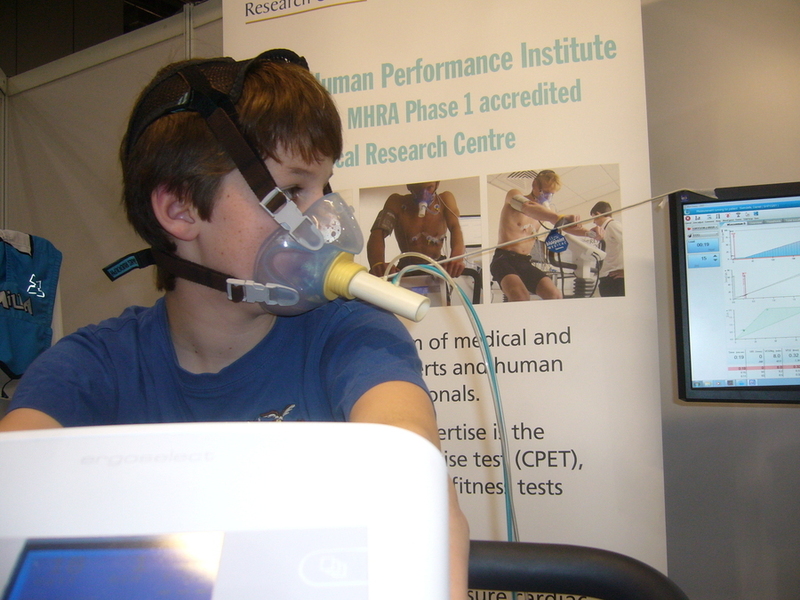 On stationary exercise bikes, Tested by the Surrey Human Performance Institute in January 2012, London UK. JOHN:180.5 cm tall, start heart rate = 64, 30 watt increments, 65.45 kg. HR Aerobic threshold = 169 bpm. Max HR measured = 185 bpm. John's cadence ranged from 90-104 revs per minute, throughout. VO2MAX = 67.2 mm O2/(min*kg), max watts = 390. 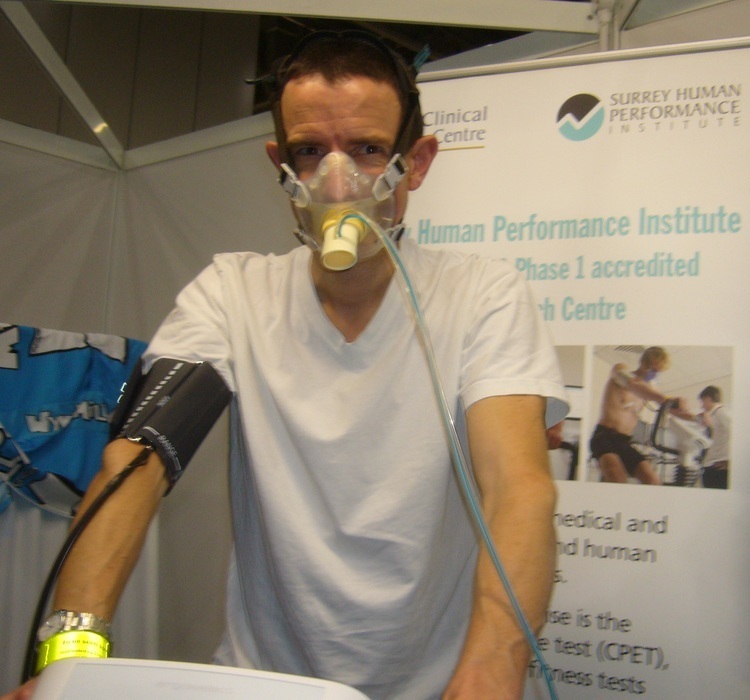 This compares well to the last time John did a VO2MAX test (treadmill, Loughborough Uni, 2005). 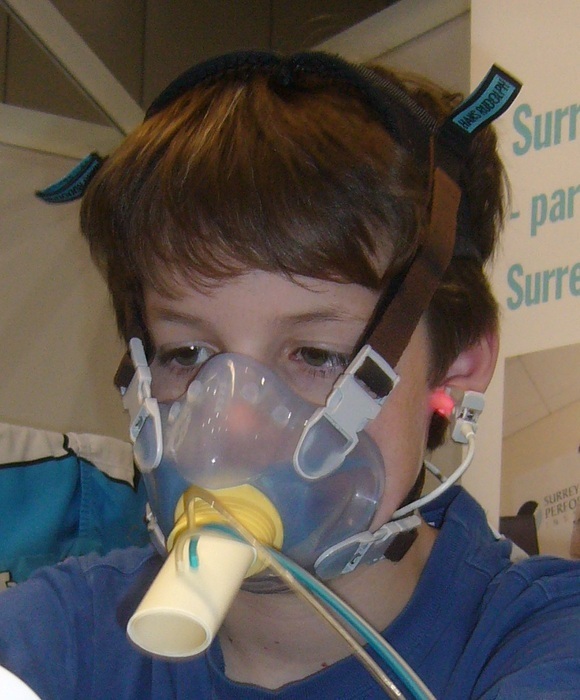 It's worth noting that endurance training for children to improve their VO2MAX numbers needs to be undertaken with different targets and expectations than for adults. The general opinion seems to be that children need to train harder but for much shorter durations to make gains (read more). 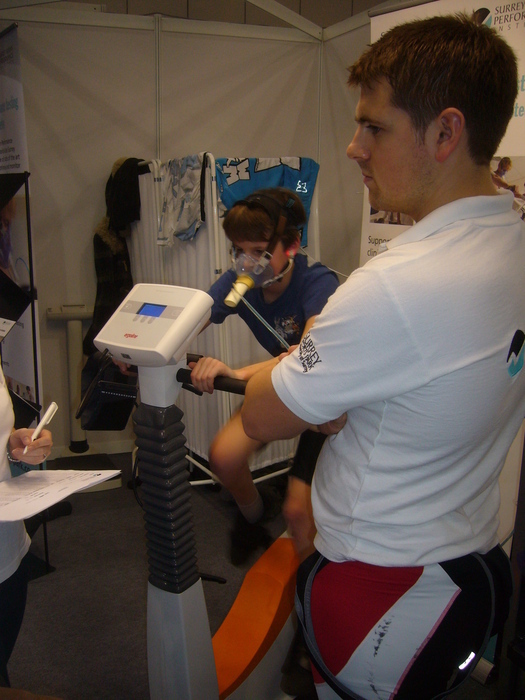 More about What is VO2MAX.